In the spirit of giving, Volvo Philippines generously gives away a fantastic Christmas treat. With its value-laden Easy Ownership offer, interested buyers can now reward themselves with a brand new Volvo S60 R-design or a Volvo V60 Cross Country. For as low as a 30 percent downpayment, they can also enjoy a 0 percent interest financing plan at an equitable 24-month payment schedule. Designed with a true sports-car feel and featuring a specially developed chassis, the Volvo S60 R-design is Volvo’s sportiest model ever. More than just the aesthetics, the R-Design model embodies both form and function with stunning good looks and sharp road handling. It carries enhanced performance with better cornering, increased torque, power and excitement. Rugged and refined, the Volvo V60 CC is at home on all roads. Equipped with advanced handling and engaging driving experience, the V60 CC has high ground clearance that can deal with all roads at any kind of weather. It has excellent control and incredibly sporty seats that gives you a total sense of control. 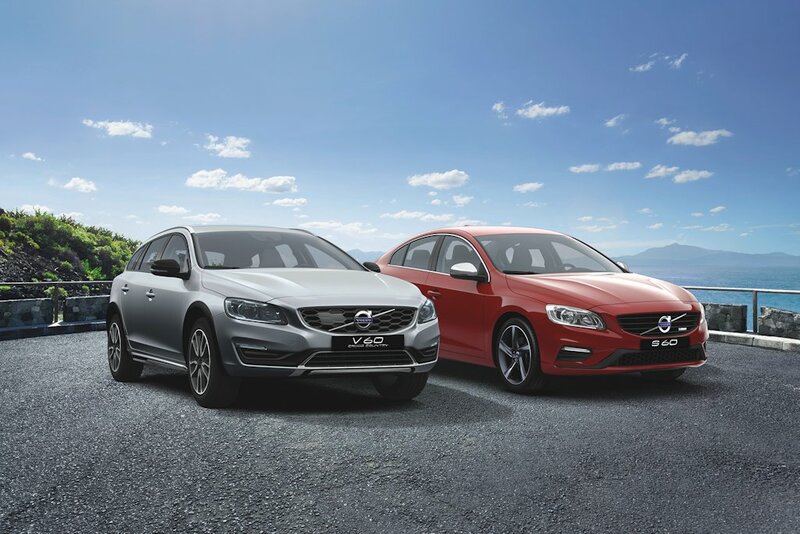 Both Volvos are created with people in mind. This means that utmost comfort, superb drivability and exquisite luxury are at hand to give its occupants the most rewarding car experience. In addition to the hallmark safety leadership that Volvo is known for, each car is outfitted with the most thoughtful and technologically advanced support systems. Drive-E boasts of innovative powertrains that perfectly balances power and efficiency with incredibly low emissions and fuel consumption. With Sensus, Volvo effortlessly connects the driver with the outside world through intuitive interfaces, audio systems and apps that entertain, and connectivity that lets the user keep in touch with the outside world. Intellisafe, on the other hand, is Volvo’s host of safety systems that helps support safer driving and prevent accidents. Safety has been a core value for Volvo and with this technological innovation, it is able to redefine and continuously improve to make driving a safer, more enjoyable experience for people inside, and even outside, the car. With Volvo, car ownership is a holistic experience. From the showroom to the expert care that the service center provides, every Volvo owner is given the quality assistance and attention he deserves. Wrapped in excellence, every Volvo is truly a gift. This offer is valid only until December 31.